The sell off in the TSX didn’t come to a surprise to tradewithZEN subscribers as I issued a trade alert to get short the TSX via your etf of choice. It rallied up a little bit more that day and then fell 500 points. 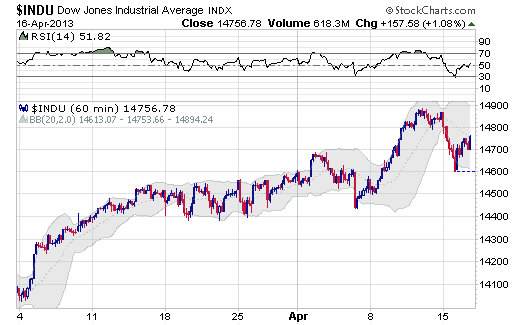 It’s a little odd how the TSX has been so weak while the Dow has barely budged from it’s uptrend. 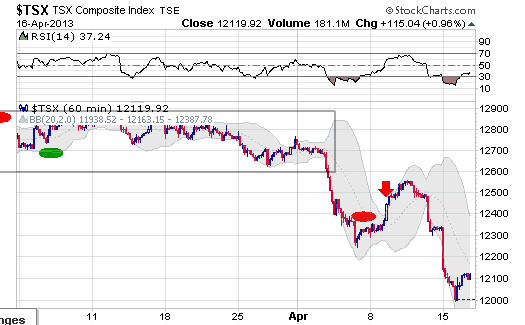 Based on my proprietary charts the outlook for the TSX doesn’t look so good in the short-mid term. Normally these markets are more in sync so we may be witnessing a disconnect as it could be time for the Canadian economy to suffer through some rough times. Anybody living in Vancouver who you may ask how they’ve been dealing with the financial crises, I’m sure their response would be “what recession”. We still have dog spas up here. Seriously. Anyhow, if you’d like to receive real time alerts on the Nasdaq, Djia, and the TSX, consider giving my premium service a try. I also provide a watchlist of stocks that have a good record of outperforming the general markets and my method of buying these stocks. I don’t think you can compare the Dow and TSX performance, or any of the US indexes vs. the TSX currently, when the Fed is supporting the US markets to the degree they do. As I’ve been reading on many sites and simply observing in general, there is a big disconnect between US markets achieving new highs and the reality of the global economy. If anything, the TSX is more indicative with what the global economy is doing based on the commodity slaughter taking place.